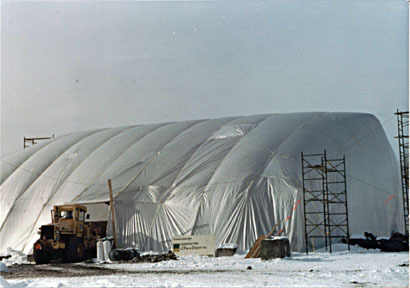 Hoarding is the use of tarpaulins to wrap a job site so that the site can be heated. 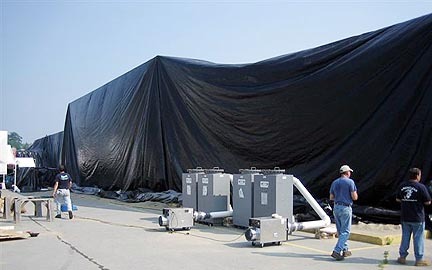 Layfield is a leading fabricator and distributor of hoarding tarpaulins manufactured from reinforced polyethylene (RPE®)materials. 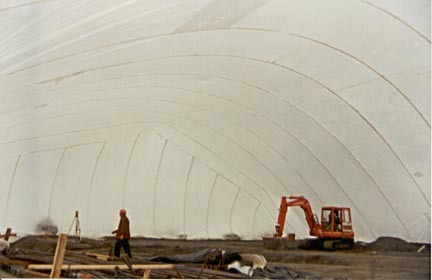 Our high strength but lightweight, natural (clear) coated WeatherPro hoarding tarpaulins are the preferred choice of the construction industry for enclosures, ground sheets and general utility tarpaulin applications. 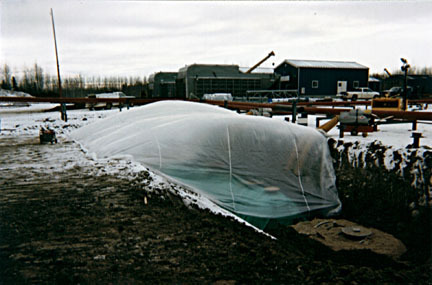 WeatherPro hoarding tarpaulin products are stocked in convenient sizes which are individually packaged and clearly labeled for quick identification and handling. Some the benefits are high strength compared to unsupported films, translucent natural coating for light transmission, and packaging for ease of handling.